Windows 7 Home Premium Anti Forensic Edition ~ Apps2Portable | Free Portable Apps for PC ! 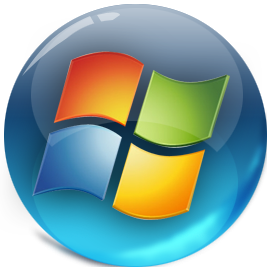 Designed for people who want it all Windows 7 is the most versatile and ncluding the ability to run many Windows XP productivity programs in Windows XP Mode. For added security, you can encrypt your data with BitLocker and BitLocker-To-Go. And for extra flexibility, you can work in any of 35 languages. Why Windows 7? because it has less spying nastiest than Windows 8 and Windows 10. If you use this guide along with the firefox tweeks in the AntiForensic guide and use a VPN along with free public wifi being traced will be a very hard task indeed. What benefit does it have over following the ebook guide? It makes life easier for the non technically minded, but also it speeds Windows Up, it also removes a lot of the nastiest other than UserAssist and Shellbags which can be wiped with r-wipe or CCleaner etc, but more importantly it implements AntiForensics out of the box so that your not having to edit a live system and less can go wrong. if you use a public wifi hotspot or 3G hotspot over a good VPN you are all set when it comes to your privacy. we created this free of charge and put many man hours in the name of privacy and also to stick it to the fiends that wish to trample over our privacy and right to a private life.